Cootamundra producers have answered the call with hundreds of bales of hay heading to Central West regions devastated by bushfires over the weekend. Paul Manwaring and Andrew Glover are currently coordinating a fodder run to leave Cootamundra on Saturday morning bound for the small town of Coolah. They already have 10 trucks committed, five of which will be filled with hay/straw donated to date. The men are seeking further donations of hay/straw to fill the remaining trucks with any extra trucks also welcome to join the run. Mr Glover said there is no minimum or maximum amount of fodder farmers can donate, they will take anything with great appreciation. They are also accepting both round and square bales of hay. Almost 50,000 hectares were burnt as the worst fears associated with catastrophic fire danger conditions came true. The immediate threat to property from bushfires was downgraded early this morning following cooler and calmer conditions overnight, however firefighters are warning the danger period is not yet over. Dozens of properties are believed to have been damaged or destroyed, however the extent of the devastation is as yet unknown. What is known is farmers will be left with nothing to feed any stock they managed to save from the fires. This is were Mr Manwaring and Mr Glover come in. Mr Glover said it is “the Aussie way” to lend a hand when times are tough. “If it was our turn next, you’d like to think communities would support us,” he said. Mr Manwaring and his wife Nat used to live in the Central West area affected and have friends who have lost everything. Because of this, they were driven to want to help but knew it was more than just their friends who needed assistance but so many producers left with nothing. The plan is to create a general collection point at Coolah for affected farmers to collect fodder. “We see the short-term feed gap between now and when they can get stock onto agistment as the priority,” Mr Glover said. A bank account will be established for people wanting to donate cash which will help to fuel the trucks to get them to Coolah. 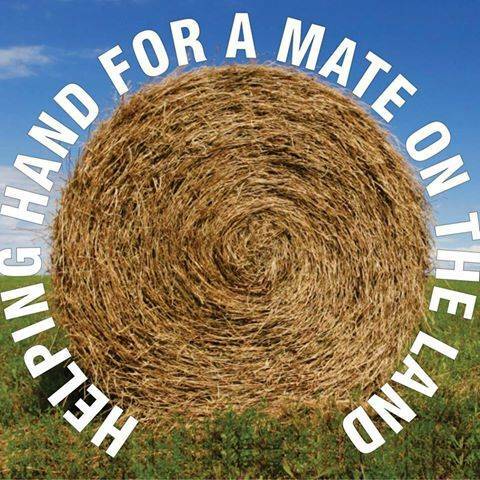 A Facebook page has been set up for the fodder run Helping Hand for a Mate on the Land. Hay donations can be delivered to 1389 Stockingbingal Road Cootamundra, the property of Paul and Nat Manwaring. For enquires on how you can help contact Paul Manwarring on 0407 304 052 or Andrew Glover on 0427 203 895. “People’s generosity so far has been overwhelming and we really thank them for helping us make this possible,” Mr Glover said. This story first appeared in The Land and The Cootamundra Herald.